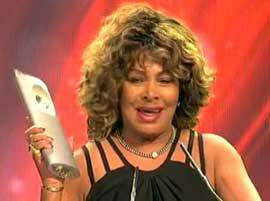 Here is a list of all the Awards that Tina Turner received. 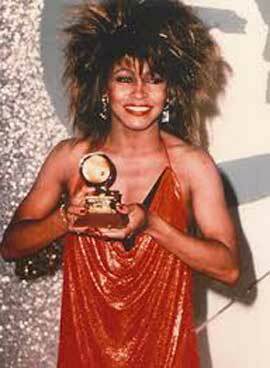 1985-What's love got to do with it? 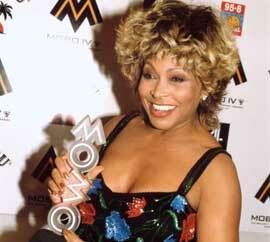 Tina Turner is also represented in the Grammy Hall of Fame with two of her singles inducted including "River Deep - Mountain High" (1999) and "Proud Mary" (2003). 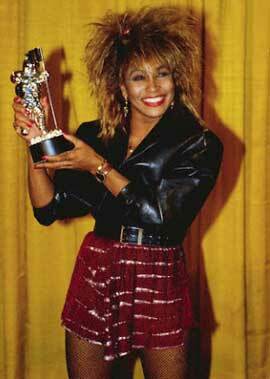 1984 - Best Female Video of the Year "What's Love Got to Do With It"
1985 - Best group Video - "We are the World"
Award of Excellence – Special Event “Grand Opening of Tina Turner Museum at Flagg Grove School"